Luxurious, unique, and all-natural NANOIL hair oils work for professionals and every woman. 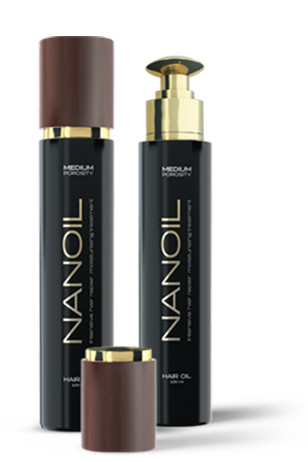 NANOIL owes its popularity to the individual approach to hair problems. Oils for different porosities make an innovative solution in haircare. Available for everyone. For all necessary information about NANOIL hair oils, go to the subpages, our blog, and FAQ sections, where we have placed the answers to most frequently asked questions about the application method, ingredients, action, and effects of the treatment. If you still have questions or need help, contact us. Fill in the form and send it. You will receive a reply within 24 hours.